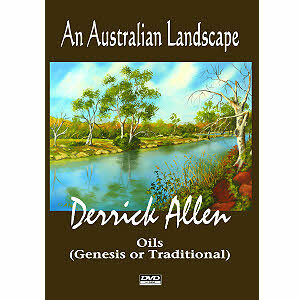 rt Teacher Derrick Allen is a master of oils (Genesis and Traditional) as well as Acrylics. Derrick was born in the UK but has spent most of his working life in Australia. Derrick has been featured in Artists Palette magazine. His easy to follow style shows you how to build pictures easily, layer upon layer.